Origin: Not much is known about the Golden Crusader’s past or how he received his superpowers. But it is thought that exposure to alien meteor rocks during his research maybe responsible for his remarkable abilities. In the late 1930’s he was the first and mightiest of the mystery men who appeared on the scene to aid those in need. Sadly he lost his life in the line of duty and the superhuman community lost a great champion and friend. 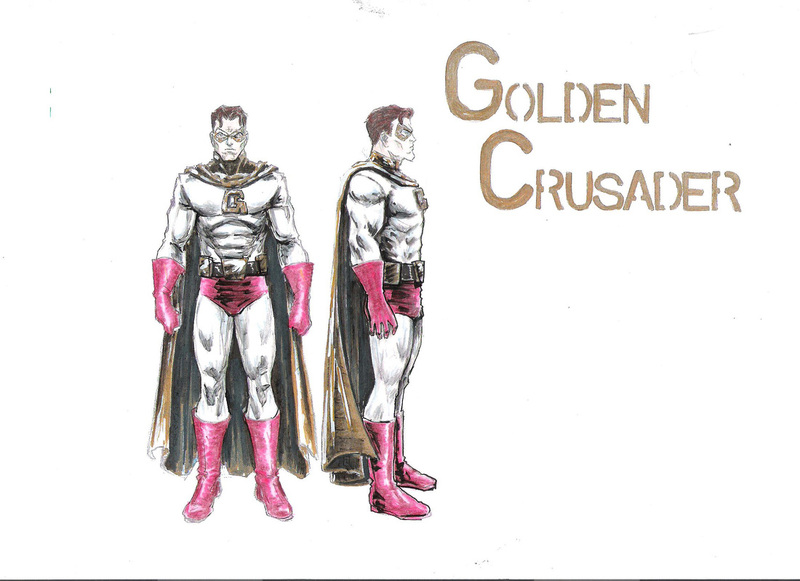 Special powers/ Abilities: Golden Crusader possessed superhuman strength, flight, invulnerability and enhanced speed. He could also fire gold colored energy beams from his hands and eyes.